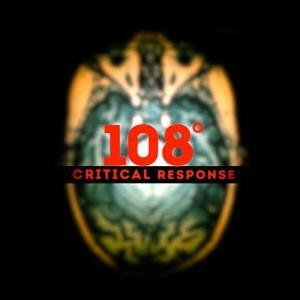 In order to make the original documentary "108˚: Critical Response" - which has been featured on the National Federation of State High School Associations (NFHS) website and disseminated to every state association - more widely accessible for home or group viewing, AETN and ArkansasIDEAS are making free copies available to public libraries across the state. Interested libraries may contact Jamie Walters at jwalters@aetn.org for details. Start this month's brand-new episode by learning about standup paddleboarding on Beaver Lake in Northwest Arkansas. Then, get to know Miner's Rock Trail, a popular mountain bike trail along Lake Leatherwood near Eureka Springs, and investigate the Blanchard Springs Recreation Area and swimming holes along North Sylamore Creek with a self-proclaimed "Mountain Man" guide. Monday, Sept. 1, at 6:30 p.m. Featured in this fall's four-part series are interviews with Robert Hilburn, author of "Johnny Cash: The Life;" Congressman John Lewis, a key leader of the civil rights movement and author of "March: Book One;" "March: Book One" co-author Andrew Aydin and illustrator Nate Powell, who is a native of Little Rock; and Dr. Sam Taggart, family physician and author of "The Public's Health: A Narrative History of Health and Disease in Arkansas." Wednesdays at 6:30 p.m., beginning Sept. 3. If you're experiencing "Sherlock" withdrawals, or would like the opportunity to catch up on the full series, we have exciting news. Seasons 1, 2 and 3 of the critically acclaimed, contemporary reimagining of the classic detective series will consecutively air as part of the AETN Saturday night Crime Time block, beginning Sept. 6. Saturdays at 11 p.m.
Greetings, earthlings! 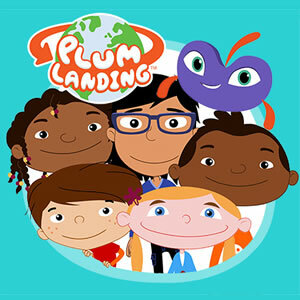 AETN and PBS KIDS' "Plum Landing" will be making a stop at Conway EcoFest in Laurel Park Saturday, Sept. 13, from 10 a.m. to 3 p.m. Join us to learn more about this online, interactive, multiplatform program and the diverse and dramatic planet we call home. See how three members of the most prominent and influential family in American politics - Theodore, Franklin and Eleanor Roosevelt - redefined the relationship Americans had with their government and with each other, as well as the role of the United States within the wider world, in Ken Burns' latest documentary series. Sept 14-20, at 7 each night. The work of Arkansas's next generation of filmmakers will be showcased in "Student Selects: A Young Filmmakers Showcase 2014," an annual event highlighting the creativity and talent of Arkansas's kindergarten through 12th grade students. View their outstanding work Thursday, Sept. 25, at 7 p.m., and be sure to tune in Oct. 31 for a "Student Selects" Halloween special, featuring murder mystery, zombies, ghost and other spooky student films. Celebrate women's achievements and contributions to the world of comedy in the first of six new, onehour documentaries featuring untold stories from an extensive list of groundbreaking women in America. 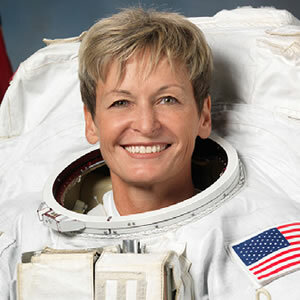 Each program in this year's series profiles prominent women in their fields who share the inspiring stories of their struggles, triumphs and contributions as they reshaped and, ultimately, transformed the landscape of their chosen vocation. "MAKERS: Women in Comedy" will air Tuesday, Sept. 30, at 8 p.m.
Sept. 5: "AETN Presents: On the Front Row With Rodney Block and the Real Music Lovers," 6:30 p.m.; "Kehinde Wiley: An Economy of Grace," 8 p.m.; and "American Masters - Sister Rosetta Tharpe: The Godmother of Rock & Roll," 9 p.m.
Sept. 12: "AETN Presents: On the Front Row With Isaac Alexander," 6:30 p.m.; "James McNeill Whistler and the Case for Beauty," 8 p.m.; and "Royal Paintbox," 9 p.m.
Sept. 19: "AETN Presents: On the Front Row With National Park Radio," 6:30 p.m.
Sept. 26: "Student Selects: A Young Filmmakers Showcase," 6:30 p.m.; and "Live From Lincoln Center - Sweeny Todd: The Demon Barber of Fleet Street in Concert," 8 p.m.
Sept. 7: "Doc Martin: Aromatherapy," 8 p.m.; "Breathless: Part Three," 9 p.m.; and "Tales From the Palaces: The Secret Lives of Places," 11:30 p.m.
Sept. 21: "Doc Martin: Always on My Mind," 8 p.m.; "Miss Marple: A Caribbean Mystery," 9 p.m.; and "Miss Marple: Greenshaw's Folly," 10:30 p.m.